Fr. Adam Carrico is generally the contact for Sacramental preparation at Saint Boniface. Patty is available in the office throughout the week and she may be able to answer any questions you have. Most preparation is on a one-to-one basis, but it may become ideal to gather as groups in the future. 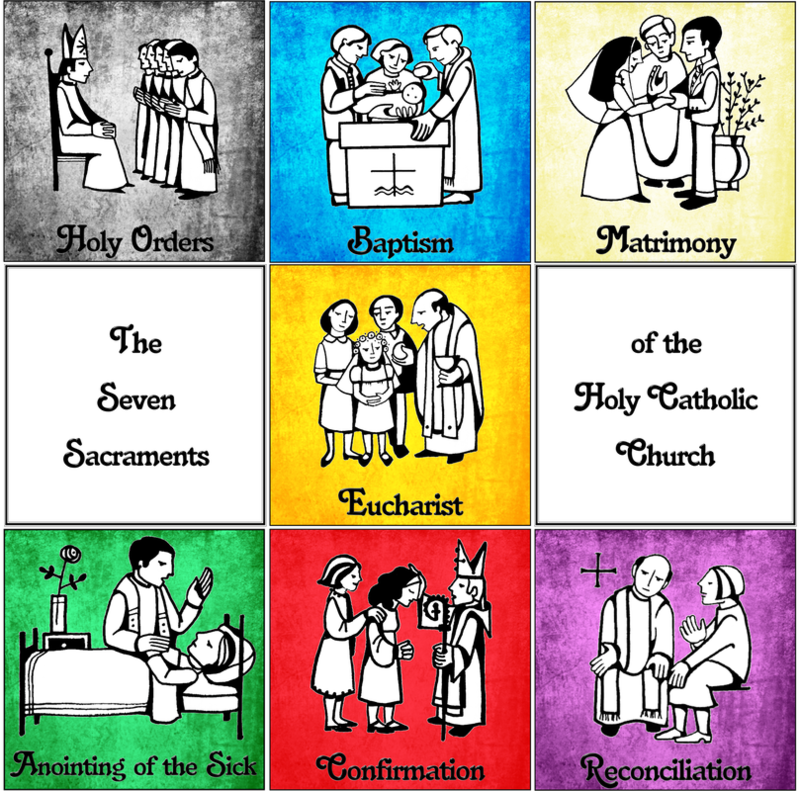 The Catholic Church has seven Sacraments; at Saint Boniface we do our best to form disciples and celebrate those Sacraments with beauty and reverence. Baptism - Saint Boniface is open to celebrating the Sacrament of Baptism for parishioners, as well as parishioners of other parishes, on an as-needed basis. These Baptisms routinely take place at one of our Sunday Masses, but a Baptism service is also a possibility. For out-of-town parents, you will need to contact your local parish and work with them to receive the formation that they recommend before we will move forward with your child's baptism. For in-town parents who are not parishioners of Saint Boniface, Fr. Adam is open to working with you, or you may receive the formation available at your parish. Children at, or around, the age of seven will need to go through RCIA to receive the Sacrament of Baptism. At least one God-parent, who is a practicing Catholic, will need to have a letter of recommendation sent from their parish to Saint Boniface, so that they can serve as a God-parent. ​Confirmation - Similarly to Baptism, Fr. Adam is willing to work with baptized Catholics who are interested in receiving the Sacrament of Confirmation. Baptized Catholics at, or above, the age of seven are invited to pray about the possibility of being Confirmed in the Faith if they have not already done so. 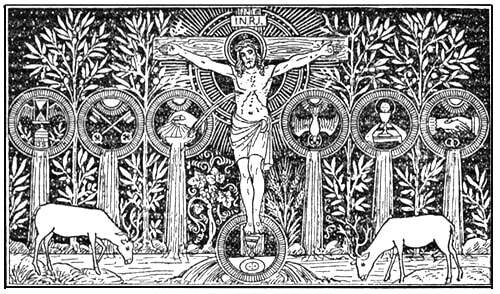 If you are not Baptized Catholic, but are Baptized in another Christian tradition, we would also make formation available in the RCIA. By the nature of Confirmation the Archbishop's approval for all Confirmations is necessary for the reception of the Sacrament. Eucharist - The Eucharist is available every Sunday, and all other Holy Days of Obligation. If you or a loved-one are home-bound, or in the hospital, and would like the Eucharist brought to you, please contact the parish office. Funeral Masses are also a major part of the Church's work of charity. If your loved one has passed please contact the parish office as soon as you can to begin the funeral planning. Similar to Baptism and Confirmation, formation for First Eucharist is available with Fr. Adam. Reconciliation - The Sacrament of Reconciliation, also known as Confession, or Penance, is available, in the confessional, from 10:15-10:45 every Sunday. You may also ask the priest before, or after Mass, if he would have time to hear your confession. The priest will work with you to see that you receive the grace of that Sacrament. You may also email Fr. Adam to make an inquiry regarding the availability of Reconciliation throughout the week. Matrimony - We at Saint Boniface enjoy the fact that many are drawn to the beauty of the church for their celebration of the Sacrament that brings husband and wife together in the bonds of Matrimony, to love and serve one-another and, if God so blesses them, to raise their children. Fr. Adam is available for the celebration of the Sacrament of Matrimony and can also work with you in your preparation. Please email Fr. Adam if you are interested. Saint Boniface is blessed by so many weddings this Sacrament has earned its own tab, so visit our wedding page to learn more.